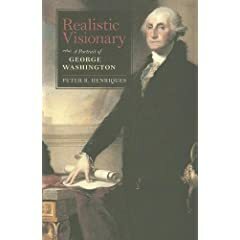 Mr. Henriques is Professor of History, Emeritus, at George Mason University and author of Realistic Visionary: A Portrait of George Washington. One of the most widely held myths about George Washington is that immediately after he took the prescribed oath to become the nation’s first President, he solemnly added the words, “So help me God” and thus began a tradition that has been followed ever since. Unfortunately, this myth, accepted by such fine historians as David McCullough and Kenneth C. Davis, is given further credence in a video released by The Joint Congressional Committee on Inaugural Ceremonies maintained by the Senate Rules Committee. Entitled 'So Help Me God,' it shows president after president uttering the words and authoritatively declares that George Washington first used the phrase. In fact, an examination of the historical evidence demonstrates that such a claim is almost certainly false. Moreover, it would have been completely out of character for George Washington to have tampered with the constitutional text in this way. He presided over the Constitutional Convention held in Philadelphia in the summer of 1787, and he took the Constitution produced there very seriously. He was, in many ways, a Constitutional literalist. Would such a man, during the very act of becoming the nation’s first President, alter an oath that had been decided upon and written into the nation’s fundamental charter? It is far more likely that his political philosophy, and not his religious beliefs, shaped his actions in this incident. As an agnostic, I am not convinced with Mr. Henriques' argument. He only speculates. Many historians and eyewitnesses of the time that were present of Washington's inaugaration have claimed he spoke the words, "So help me God." What is wrong with this? Nothing. What is so hard to believe about this? Nothing. "God" simply means a higher power to many of the worlds religions to include Christianity, Judaism and Islam...what is wrong with this? Nothing. I simply am not convinced that just because the 1st President of our country spoke these words that this means there is a clear relationship between the U.S. government and religion. Such myths as this with Washington are used constantly by those who wish to make us into a theocracy by remaking the past that never quite was. [They have more in common with the Puritans like Cotton and Increase Mather than the likes of Jefferson and Washington. Freemasonry was in many ways more important than any church concerning our historical past. You can certainly see it in many aspects of the earlier eras of the USA. That doesn't bother me at all. Curious since the more strident Christians have had a love/hate relationship with them. Mostly hatred of them. Vernon My tongue was in my cheek. You really do not have to defend the craft to me. Plot? You give too much credit to the Masonic order, it has never been an organization whose intent was to become a political force, and it's intent has never been to promulgate any particular religious persuasion. Plot? The only plot involved is a belief in God and the brotherhood of man. The former is standard in most civilizations and the latter is a wish in most civilizations. Basically, the Masons seek men of similar character to meet in the spirit of brotherhood, despite your silly comment there are no plots to take over or control anything. Don't say it's a secretive organization as you can find all of it's "secrets" in libraries and on the Internet. You would do better to concern yourself with the major religions, who with the exception of a belief in God, intrude into every aspect of our culture. The very few Masons in the world do not compare to, for example, the billion of adherents of Islam, and they, the Masons, mean no harm and wish no harm on any person, it's not the Ku Klux Klan. Your interpretation of Masonic influence on the building of the Capitol is mere froth, it's as diaphanous as historians interpretation of the reasons for the ancient builders of Stonehenge. Had the phrase “and keep me steadfast” been added we would have known. A great many Masonic obligations end with the phrase “So help me God and keep me steadfast” Rituals also include individuals kissing a Bible, or other holy book. These rituals have been largely unchanged since the 18th century. Washington was a very active freemason, and was the charter master of Alexandria Lodge 22.(1788). He also saw to it that the U.S. Capital was masonicly laid. He requested and was given a Masonic funeral The phrase would not have been out of character. I loved that book, but unfortunately it also contends that Bartolome de las Casas was a proponent of African slavery, with although which he admittedly amd briefly flirted, he later regretted once he “found out… that the Negroes’ captivity was as unjust as the Indians’,” saying that “it was not certain that his ignorance and good intention in this would excuse him before the divine judgement.” George Sanderlin, translator and editor, Bartolomé de las Casas: A selection of His Writings. (New York: Knopf, 1971): 101. This episode does help students, however, in you larger purpose: question texts and accept that history is a debate, not a base of facts that can be manipulated. Thank you for that book. Washington Irving is also the main source for the myth that C. Columbus proved the earth round. In 1491, everyone knew it to be round; my "poster book," LIES MY TEACHER TOLD ME ABOUT C.C., includes a photo of a globe of the earth, made in Europe in 1492, and Chris didn't get back until 1493. Sailors can literally SEE the roundness of the earth as a ship disappears OVER the horizon, hull first. But Irving thought the fable of Chris facing down a mutinous crew, afraid of falling off the flat world, was a marvelous story, so he put it in his bio. of CC, which sold well and stayed in print throughout the nineteenth century.